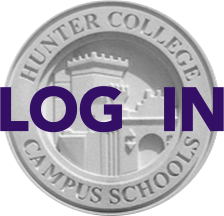 This website now has a login feature that enables us to make confidential content accessible only to Hunter parents and faculty. Before you use the login box at left for the first time, you must set a password; your old password from the Online Directory will not work (you may set your new password to be the same as your old Directory password, though we recommend changing it and at least 7 characters are required this time). Please take a few moments to set a password now and try out the protected sections of the site, including the Directory, the Hilites archive (under News) and the Safety Patrol schedule (under HCHS>Safety). For complete login instructions, click here or on the Webmaster's Corner on the home page.